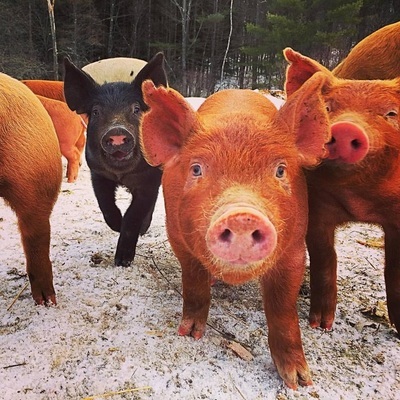 ​We care hugely about the welfare of our pigs. 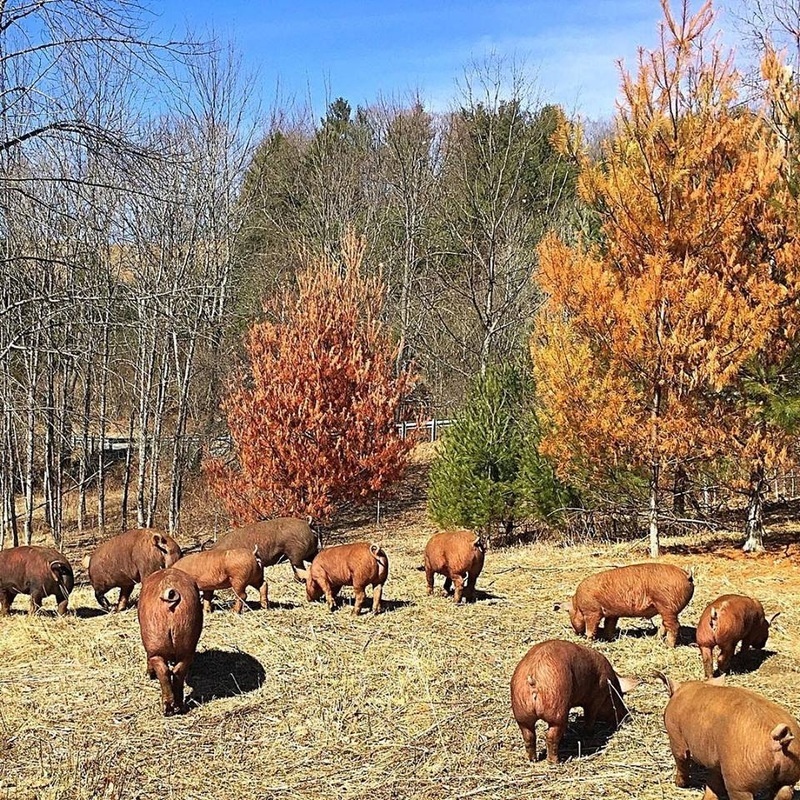 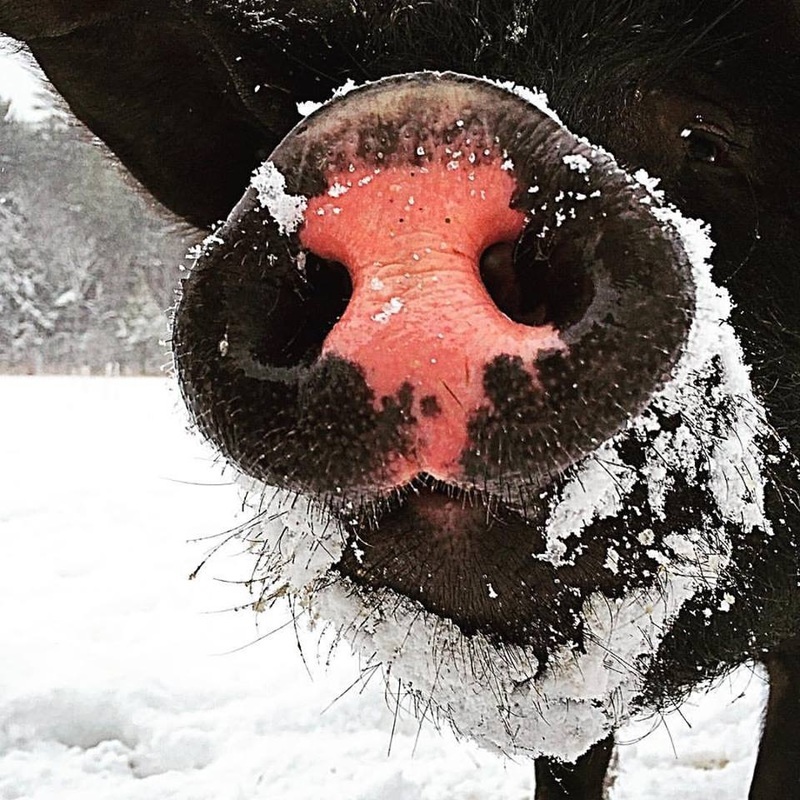 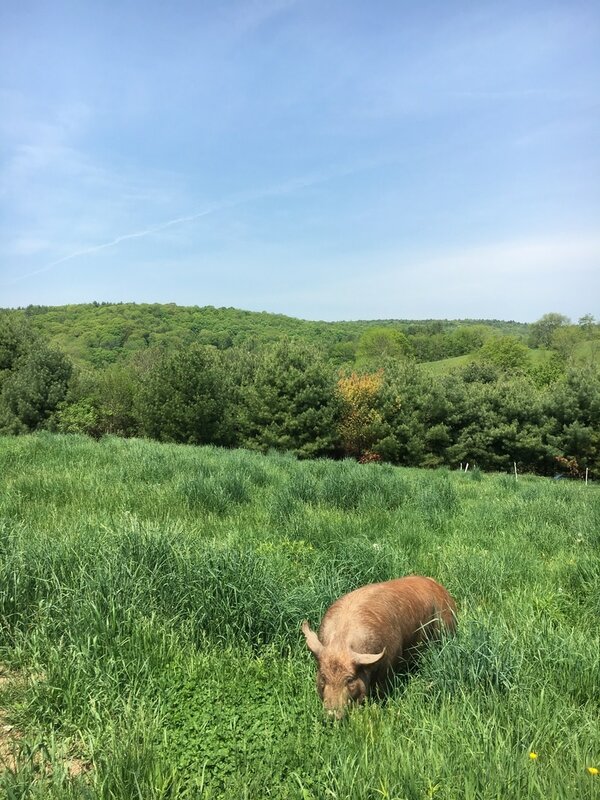 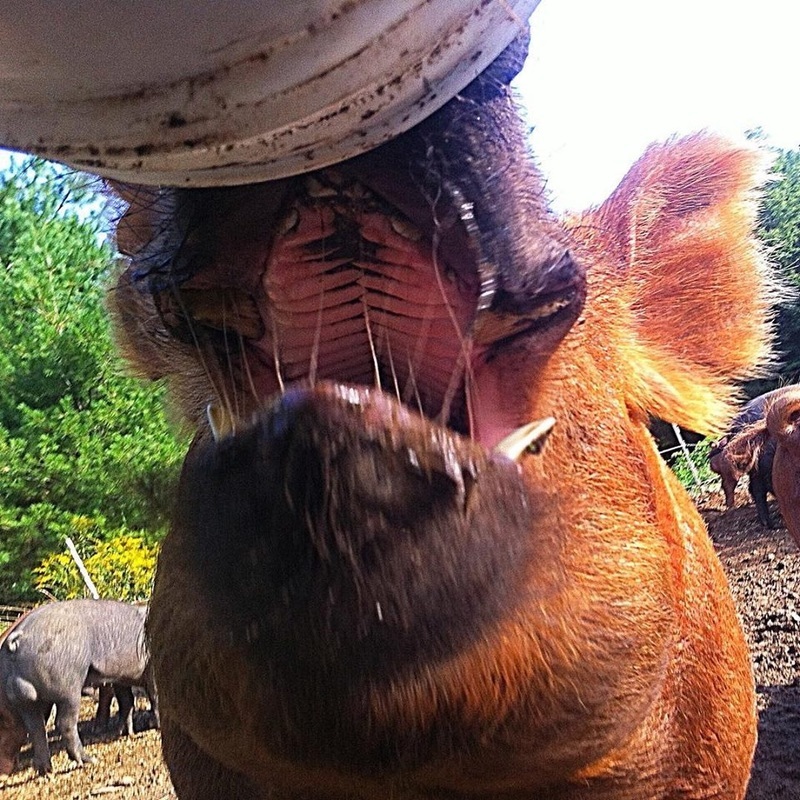 We have hand picked all the animal breeds on the farm for their personality traits and their ability to thrive in the hills of Vermont, but pigs are the favorite. 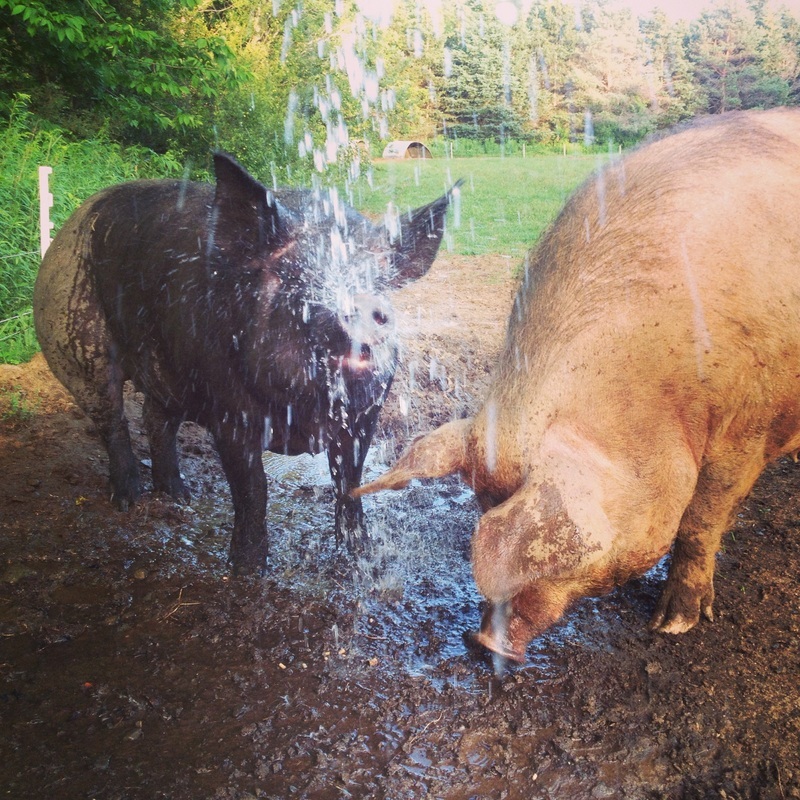 We try not to let the secret get out to the other animals, but happy pigs are just so much fun! And we raise happy pigs! 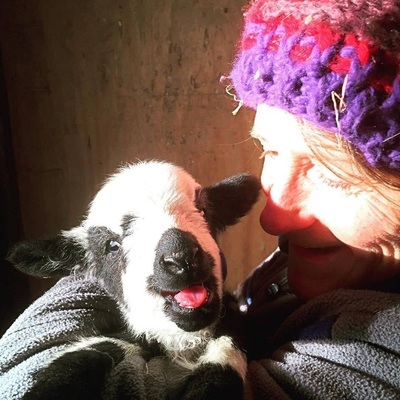 Over the years Hogwash has chosen the heirloom breeds of Tamworth and Large Black, with some Gloucestershire Old Spot mixed in, to build the farm pig population. 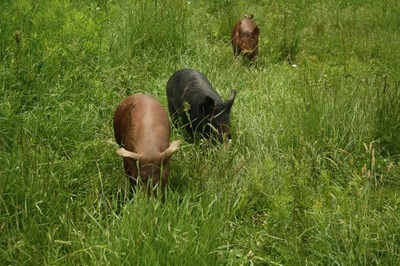 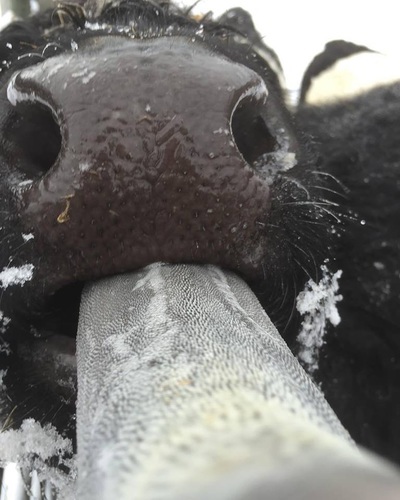 Both Tamworths and Large Blacks originate in England where they were bred for centuries to be efficient outdoor foragers and to have good temperaments. 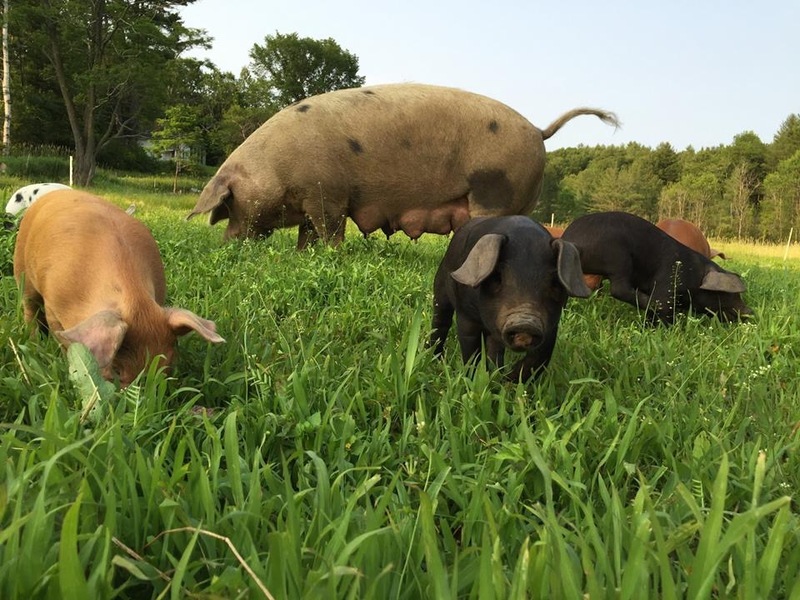 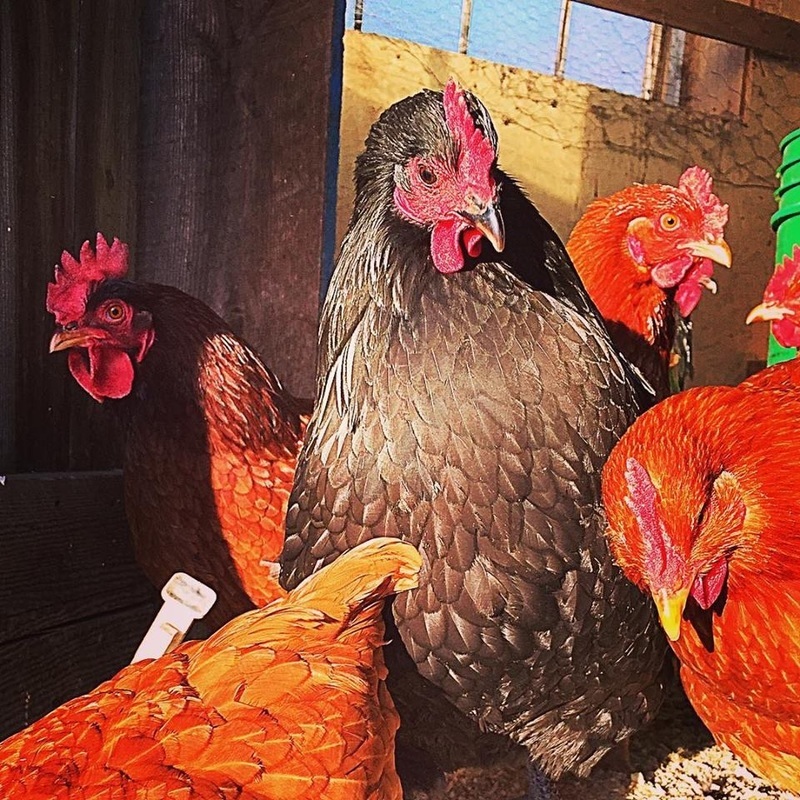 They are a highly intelligent breeds, which when combined with their amiable personalities, tends to make them careful and good mothers that can care for large litters. 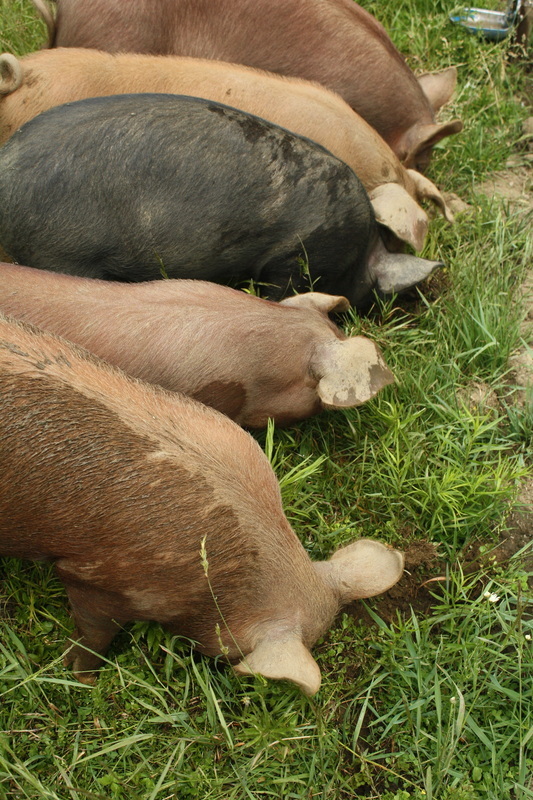 Their athletic body type and outdoor lifestyle yields meat and bacon that is lean an fine grained - with tons of flavor! 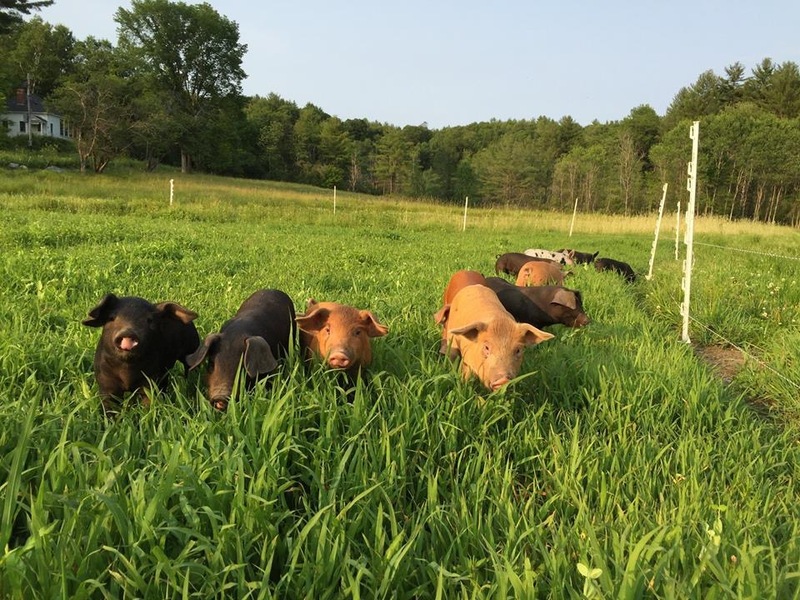 We keep only our best sows to encourage friendly, well rounded piglets. 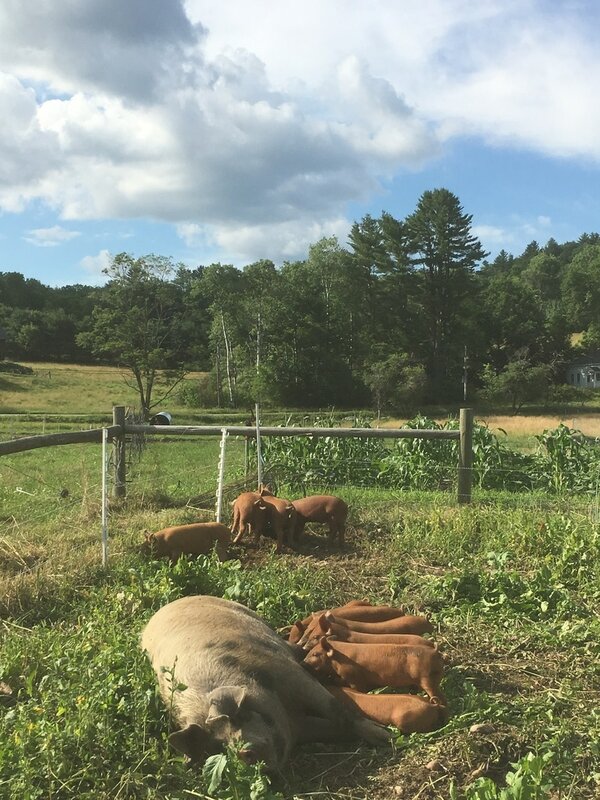 Since we keep our own sows and boars, almost all piglets are born on the farm and live their entire lives with us and their parents. 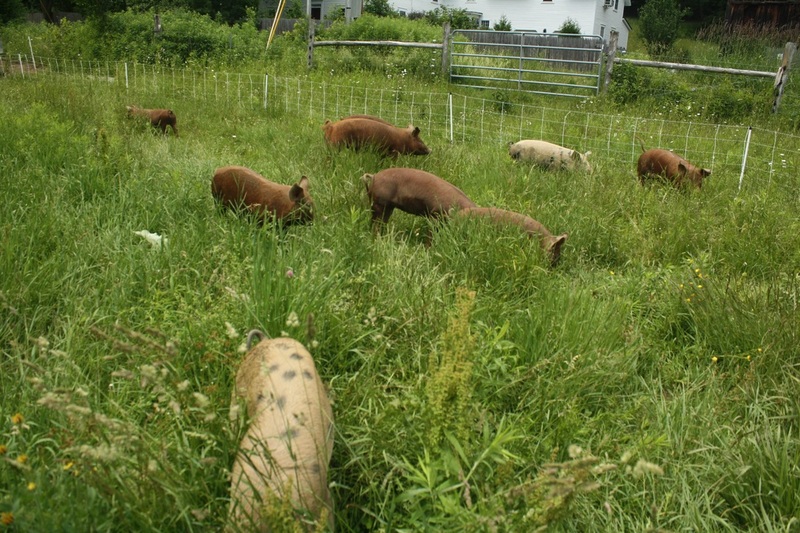 This allows us to ensure that the pigs spend their entire lives in conditions that live up to our high standards. 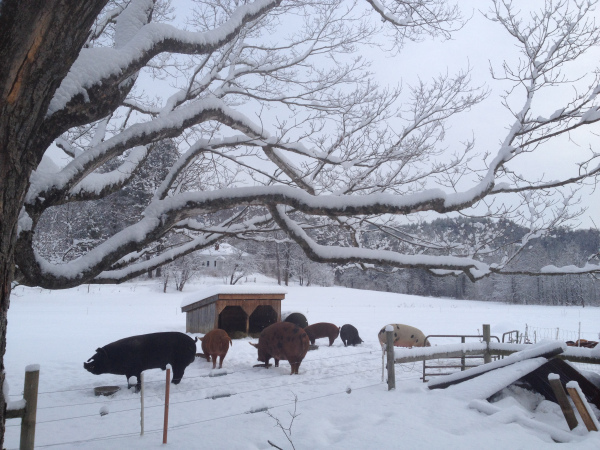 We currently have a registered Large Black boar and three registered Large Black sows. 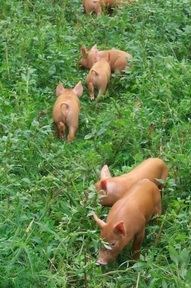 We have one registered Tamworth sow, and lots of mixed breed sows on the farm. The Large Black boar is still young, so most of our sows are predominantly Tamworth at the moment, but the tide will shift soon! 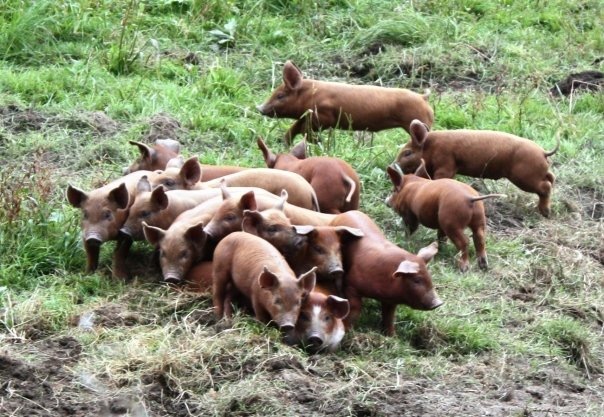 Feel free to contact us if you're interested in purchasing registered piglets. 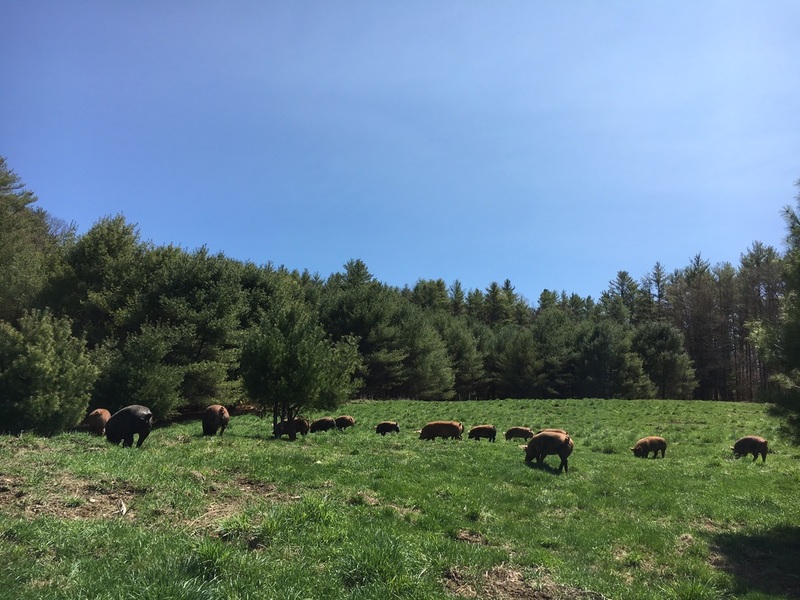 All of our heritage-breed hogs are raised on organic pasture and locally produced GMO-free grain without hormones or antibiotics. 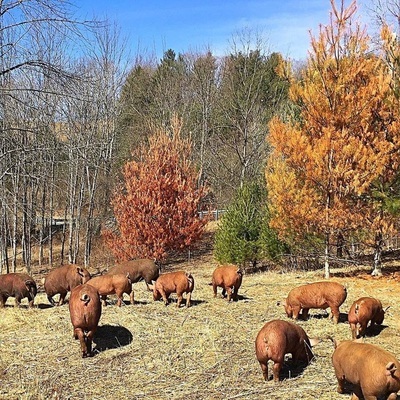 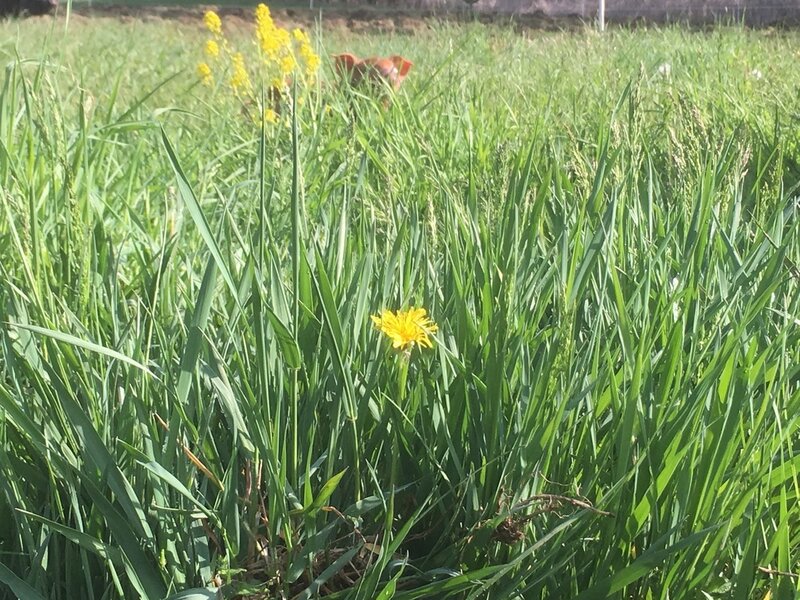 They are free to root in woods and pasture in large family groups, just as they would in the wild. 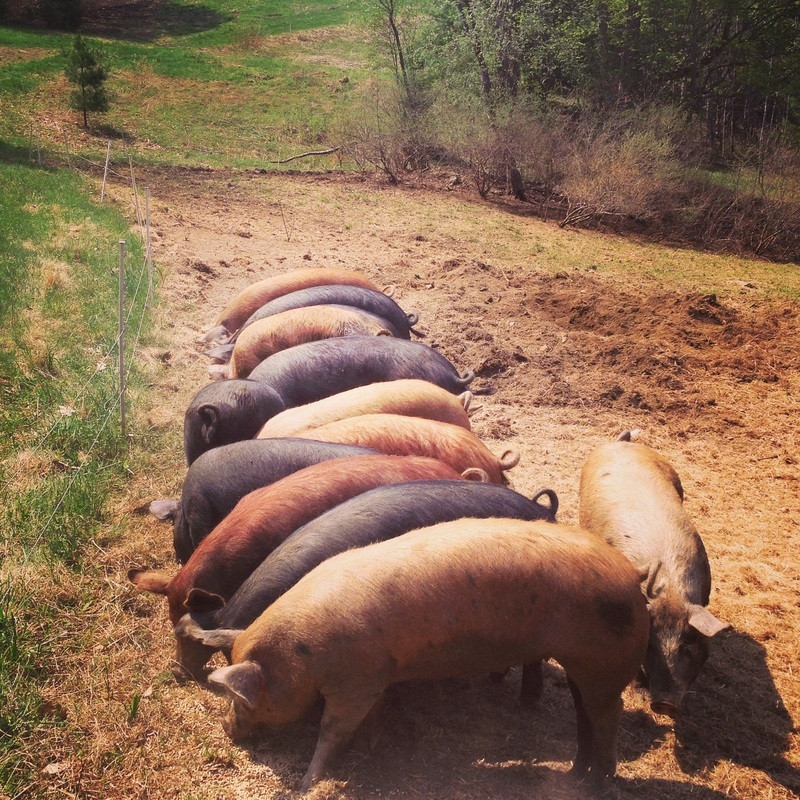 We make sure to move them frequently so that they don't impact the land too harshly. 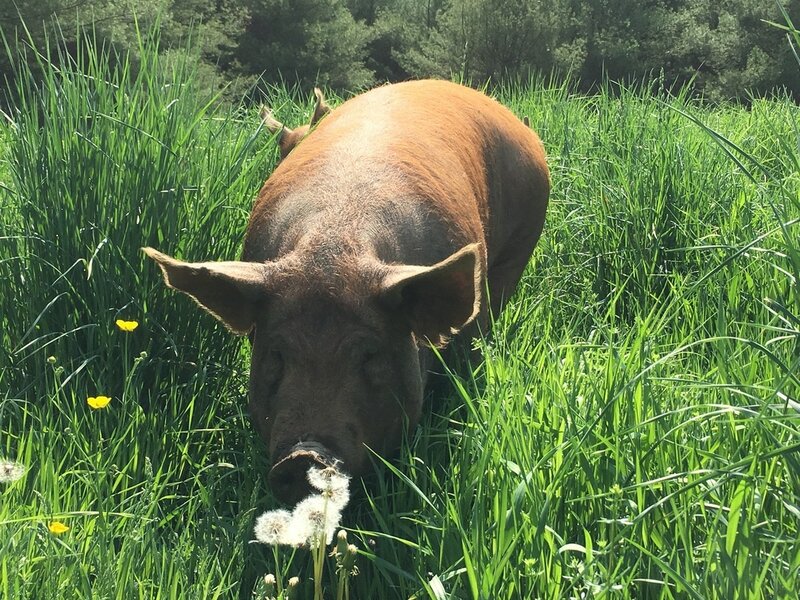 The natural lifestyle and frequent handling means our pigs are super happy and friendly. 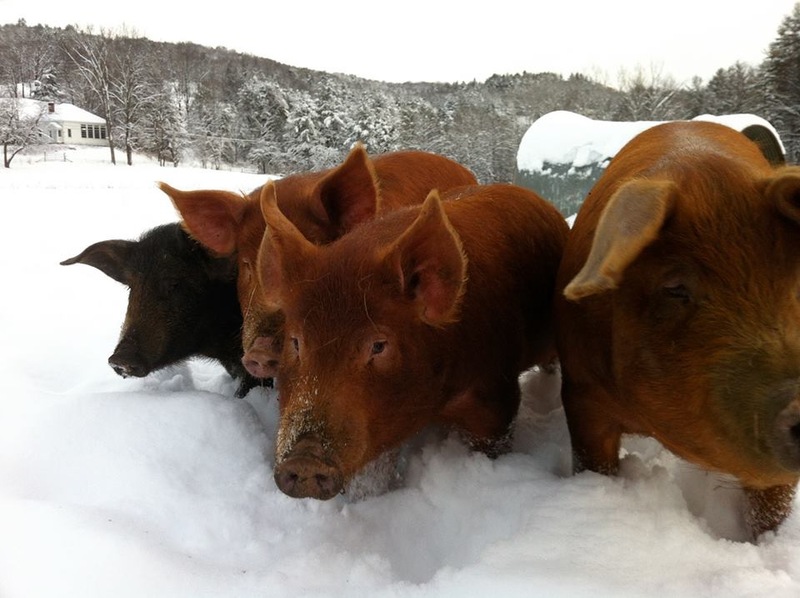 We sell our pork as frozen USDA inspected vacuum packaged cuts, or by the whole or half animal, custom cut to you specifications. Call or email for availability and pricing for individual cuts. 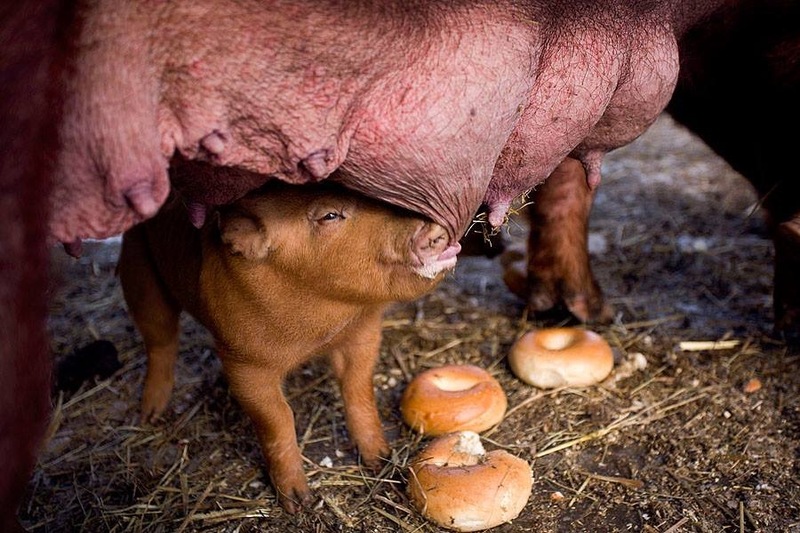 ﻿Not all meat is created equal. 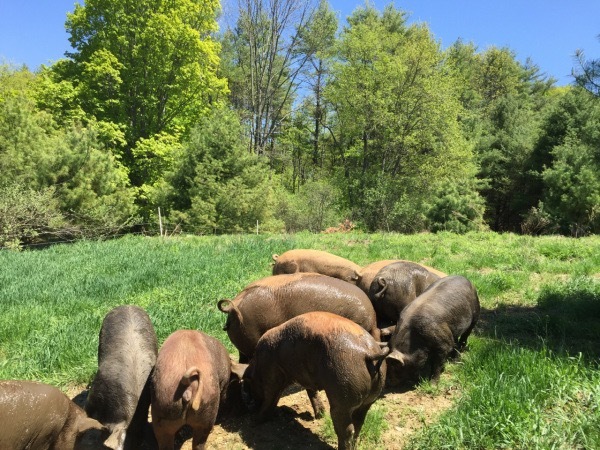 Cooking pastured raised, succulent pork is different from cooking store bought meat. 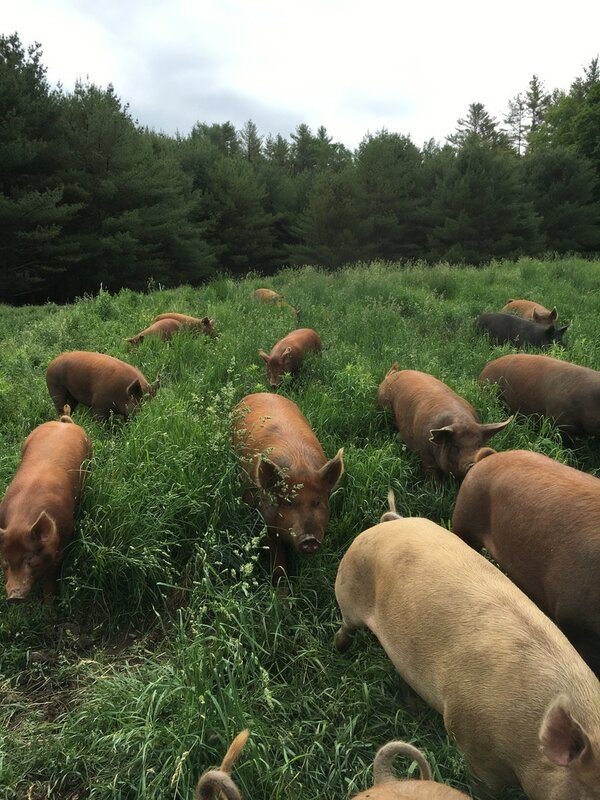 We're happy to share some of the information we have gathered over the years about butchering and pork cuts.